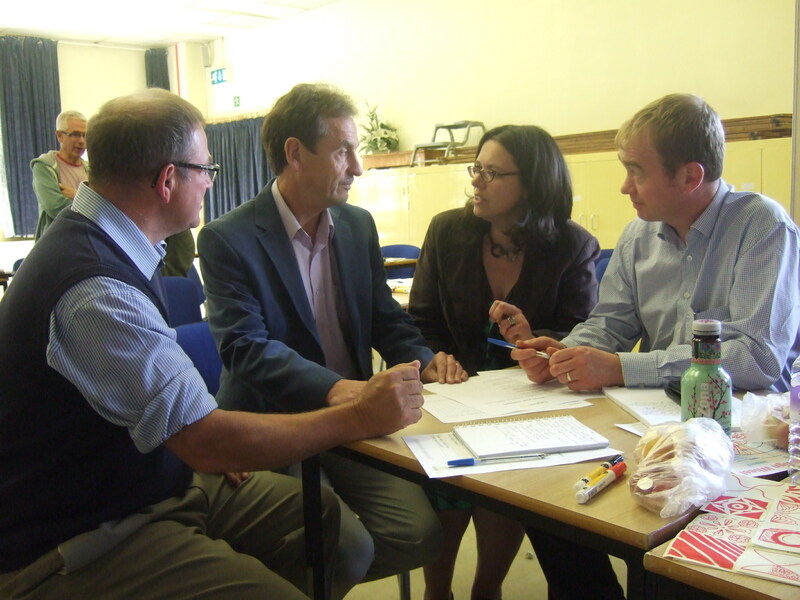 West Cumbria Liberal Democrats chair Phill Roberts with Chris Davies (former MP and MEP and Chair of North West Liberal Democrats), Rebecca Hanson (West Cumbria Liberal Democrats Membership Officer) with Tim Farron (picture from 2013). With membership soaring (West Cumbria Liberal Democrats have seen a rise of over 50%) and a popular and charismatic leader appointed (Cumbrian MP Tim Farron), the Liberal Democrats have started their fight back strongly. Old members met new at a recent social event and there are plans afoot for more members events this autumn and winter in addition to the usual excellent AGM and dinner in November. Join us, come along and be inspired by other members! Watch Tim Farron’s first speech as leader here. Sadly it’s not all been good news as we recently lost Ian Francis. 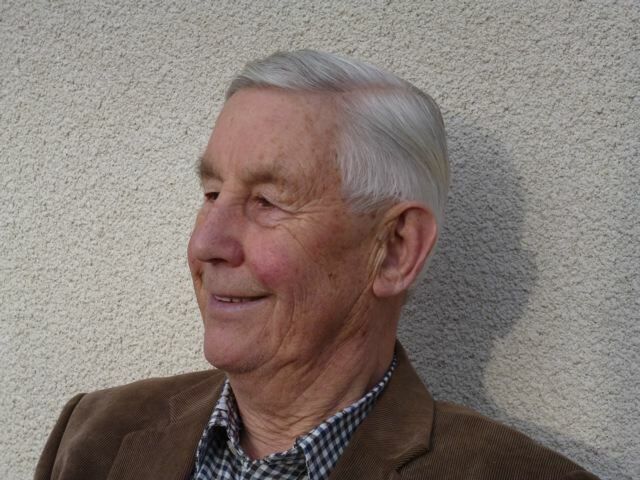 He was a hard working, long serving Liberal Democrat Councillor on Allerdale Borough Council – working alongside Allan Caine. He chaired the Allerdale Planning and Development committee for several years and also represented St Michael’s, Workington on Cumbria County Council. Ian served in the war and last year, despite ill health, managed to get to the D-Day reunion. In government, we supported the development and setting up of the 2011 Commission on a British Bill of Rights. However The Commission failed to come to a unanimous position due to the Conservatives using The Commission as an opportunity to undermine and weaken the ECHR rather than an opportunity to strengthen our human rights legislation. In the first few days of this new parliament the Conservatives have brought forward proposals to develop their own Bill of Rights and restrict the use of freedom of information requests. 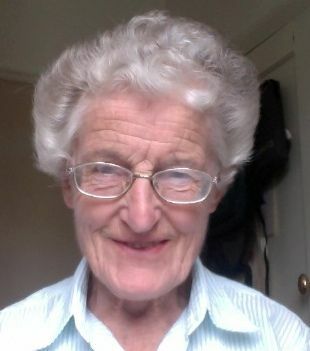 Freedom of information requests have been used by individuals, campaign groups and a free press and media to shine a light on many issues of public concern, not least the abuse of children, failure of our institutions to deliver care to our elderly and abuses of power within local and national government. When in government, we were also able to scrap the Labour proposals for a National ID Card, remove innocent people from the National DNA Data Base, stop child detention for immigration purposes and halve the period of detention in prison without charge. There are many myths and misconceptions regarding the ECHR and The Human Rights Act, mainly promoted by a right wing press, global corporations and certain political parties who use our human rights legislation and a few high profile cases, often linked to terrorism, as an argument to support their case against the European Union. We should not confuse the ECHR and human rights legislation with our membership of the European Union or our fight against terrorism. Our human rights have been hard fought for by previous generations and through world conflicts; the democratic values and beliefs of British lawyers are embedded in the ECHR and Human Rights Legislation, supported and upheld by previous British Parliaments. Yes, we need a British Bill of Rights and a Constitutional Convention to address the many issues associated with constitutional change and the call for devolved powers from Westminster to Regional Government; Scottish devolution has not gone away and there are many unresolved constitutional issues waiting just around the corner. Let us therefore not be complacent and easily fooled into joining a call to scrap our Human Rights Legislation at a time when we need it more than ever or into a belief that a Conservative Government, supported by a right wing press, global corporations and hedge fund managers, would be the appropriate body to develop a British Bill of Rights. Our Human Rights Legislation is there to protect us, our personal freedoms, and underpins our democracy; it may at times need to be updated and strengthened. However this should not be left in the hands of political elites and vested interests. As we approach the General Election, national polls have shown that the most important issue for voters is the future of the National Health Service. This is true in Copeland, just as anywhere else in the UK. The continuing uncertainty over the future of the West Cumberland Hospital affects us all. Fear for the future of our hospital services has understandably brought popular demonstrations and wide debate. The NHS has a long history, but now faces major social and environmental changes. Yet the vision in 1942 of that great Liberal, William Beveridge, remains as valid today as it was 70 years ago. He proposed our present social security system, based on the insurance principle – people pay their national insurance and they receive national insurance benefits, including hospital treatment free at the point of delivery. I suspect we have all at some time been grateful for the excellent work of the NHS and of our local hospital, with its outstanding staff. Despite frequent criticism, the NHS is one of the best health systems in the world and is also among the cheapest. In a recent comparison of eleven advanced countries, the NHS came top for effectiveness, safety, co-ordination, quality and access. There have been mistakes. The decision by Labour to allow new hospitals to be built via the Private Finance Initiative (PFI) has imposed a huge financial burden involving massive service provision payments for 30 years. Recent reorganisations have caused yet more uncertainty and frustration, nowhere more so than in our local Hospital Trust. But there are some positives too. The new Cleator Moor Health Centre is a great success, effectively a ‘One-Stop shop’ for the community, with impressive facilities appreciated by the local people. We need many more such local developments. Liberal Democrats believe passionately in the NHS and are committed to maintaining it as a public service open to all, irrespective of their means. We will fight to retain the maximum range of services in our West Cumberland Hospital. The NHS budget will be guaranteed, should Liberal Democrats be in government, to rise to ensure it keeps ahead of inflation. We will also tackle discrimination against those with mental health difficulties. Around a quarter of the population experience mental health problems, but few receive adequate treatment. Mental health costs the country billions every year. We will ensure that mental health patients get treated as quickly as those with physical health problems. Liberal Democrats will fight the coming elections on the principle that everyone needs the best opportunities to get on in their lives. Effective and accessible health care remains essential for this. Danny Gallagher: Liberal Democrat Prospective Parliamentary Candidate for Copeland – Writing in the Whitehaven News. We live in a society which is becoming increasingly unfair. The gap between rich and poor in Britain is steadily widening. An international “league table” assessing income equality shows that Britain now ranks 28th out of 34 of the world’s richest countries. Unlike Germany, for instance, we reward our top managers and bankers wth excessive amounts through salaries, bonuses or share options, whilst many employees struggle on barely enough to survive. OXFAM has calculated that the top 1% of the world’s population, the corporate, financial and social elite, will soon own more of the world’s wealth than the bottom 99%. This growing inequality requires radical action. President Obama recently asked ”how much longer can we accept a situation where only a few do spectacularly well?”. Many of the political parties in the UK express concern about the vast differences of income and wealth even within our own relatively uncorrupt society. So one key question for politicians from voters in the approaching General Election will be: “What is your party planning to do about our unfair and unequal society?” It is a question which Liberal Democrats have been debating for many months. Answers to this key question should be contained in the different party manifestos. I hope that voters will examine how each party plans to make ours a fairer society, in which people are rewarded fairly for their work and in which benefits are properly directed to those who genuinely need them. If we fail to tackle what has been described as “the cancer of inequality” I believe we will be confronted by catastrophic social consequences. Liberal Democrats will ensure high earners and the wealthiest pay their fair tax share; increase public spending in line with the growth of the economy; raise personal tax thresholds to at least £12,500, guarantee decent state pension increases every year; and enforce minimum wage laws. We will also safeguard our precious NHS, ensure those with mental health problems get treated as well as those with physical problems, and protect education funding, from early years through to school and college. Liberal Democrats understand that a strong economy and a fair society have to go together if we are to enable everyone to progress and achieve their full potential. We have worked hard in this coalition government to rescue and repair Britain’s shattered economy. The task ahead – which we accept – is to move from rescue to renewal, and to restore optimism and fairness. Building a fair society will be at the heart of my campaign. The Copeland & Workington Liberal Democrats are pleased to announce the selection of MR DANNY GALLAGHER as the Parliamentary Candidate for the Copeland Constituency for the General Election on May 7th 2015. 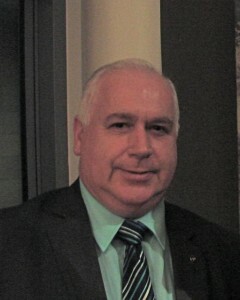 Mr Gallagher, aged 55, has wide experience of local government and has worked in management in a range of organisations. He is currently a self-employed business consultant; working with a number of Cumbrian companies. Mr Gallagher has a particular interest in vocational education for disadvantaged young people and in providing training opportunities for the unemployed and those who have dropped out of mainstream education. He has worked with a range of partners including the probation service and the police, as well as local authorities, and private sector agencies. As a former councillor in Preston, Mr Gallagher has been a member of a many key committees, including those dealing with employment and environmental challenges. He has taken a special interest in the provision of more and better social housing. He is familiar with the staffing and policy issues confronted by councils at this time of financial stringency. 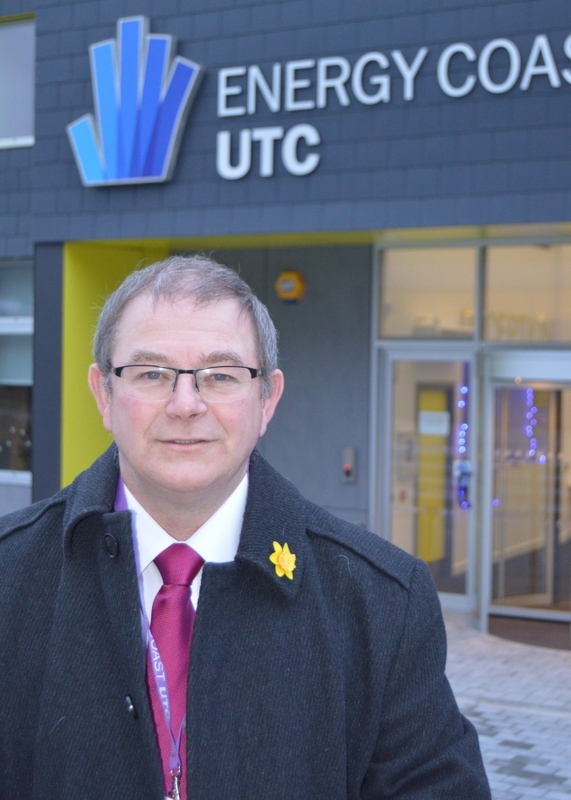 Mr Gallagher is keen to apply his extensive knowledge and experience to the difficulties and the opportunities which will confront West Cumbria in the immediate future. As Liberal Democrat candidate, he will argue for more investment in our area, the development of a stronger infrastructure, further investment in education and health, with the over-riding long-term aim of building a more resilient local economy and a fairer society. Mr Gallagher is married with two children and has a strong personal interest in architecture and the built environment. Election of Mayor for the Copeland Borough Council. Copeland & Workington Liberal Democrats have taken the decision not to put forward a candidate for the forthcoming mayoral election in Copeland in May 2015. In the present circumstances it is felt that putting forward a candidate would not be appropriate, given the current situation in Copeland, the background to this mayoral election, and the increasing support in Copeland for an assessment of the benefits of a change to a unitary authority. It is also our view that if we are to have an elected mayor in Copeland at this time, he or she should not be closely identified with a single political party. It is our view that proper democratic accountability is best maintained through an effective local council elected on a proportional basis, so representing the widest spectrum of local people. However the Liberal Democrats will give their broad support to any independent elected mayor acting in the genuine interests of the whole of the Borough of Copeland for the duration of this present experiment, which may extend to two terms of office. In the longer term, Liberal Democrats in West Cumbria believe that the present two-tier system of local government which currently operates in Cumbria should be replaced throughout the County by a unitary system, in order to improve efficiency, simplify administration and reduce costs. This might entail the creation of one or possibly two unitary authorities in Cumbria, with appropriate local area subcommittees. 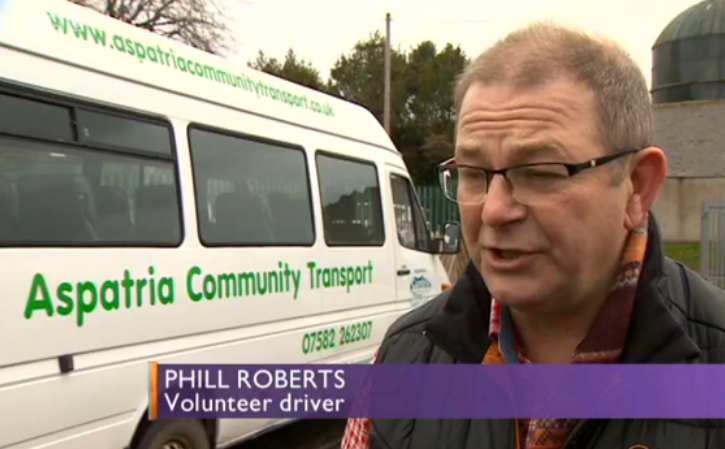 Phill Roberts, parliamentary candidate for Workington, spoke out about community transport issues on The Sunday Politics this week. The episode is currently available here. ‘It’s the Economy, stupid’ was Bill Clinton’s successful 1992 Presidential campaign message. And it is probably as true now that the economy is enormously important. However, controlling or forecasting the economy has become even more difficult. We are living in an increasingly interconnected world. There are many global companies that have turnover greater than some national governments. Most of these companies have the simple aim of maximising profit for their shareholders within the law. Countries compete to provide a financial environment, particularly the tax regime, to attract such companies who provide jobs and income, eg Luxembourg and Amazon. So what should our next government do? As Liberal Democrats we believe we have to cooperate, particularly within Europe, to get a fairer tax regime for global companies. At home we can aspire to reducing the national debt but in the global economy it is not wholly under our control so a proportionate approach has to be taken. The Liberal Democrat objective is to eradicate the current account deficit by 2017/18 so that we live within our income each year. The long term debt we would keep falling as a percentage of GDP. It is the duty of government to protect and care for its citizens; this must include concern for fair wages for all. The Tories, funded by big business, believe in the trickle down effect to their employees from businesses that flourish but what we have seen is the divide between top salaries and wages expanding from 8 to 1 to 10 to 1. Liberal Democrats believe that we should help wage earners directly. So we pushed the coalition government to raise the initial tax level to £10,500. We would raise this again to £12,500 which is roughly what someone on the minimum wage could earn, still not reaching a fair wage. At the other end of the scale we believe the wealthiest should bear more of the burden and we would introduce a banded high value property tax on homes over £2 million. Promises, promises but can we keep them? Liberal Democrats have learnt a lot from being in the coalition government and know how difficult it is to escape from recession into growth. What we are determined to achieve is a fairer society and to tackle the wider aspects of the economy by cooperation and agreement within Europe. We may be an island but we cannot be insular. Liberal Democrat candidates have to undertake assessment and selection procedures plus attend Local Party hustings before being selected as a candidate. Phill Roberts stood for the Workington Constituency in 1997 and is a previous Allerdale BC councillor. Phill is currently a Bromfield Parish Councillor and chairs a number of community projects including Aspatria Community Transport and Keswick carers. Phill is also a passionate supporter of the campaign against inequality and the fight for a Living Wage. ‘I am delighted to have been selected by the Workington Liberal Democrats to represent the Libdems at the 2015 election. The Liberal Democrats have ensured that the country has had a stable government during very difficult financial times. Difficult decisions have had to be made in order to balance the country’s finances and the Liberal Democrats have ensured that the decisions made have been fair decisions. We can’t however say that at this time we are all in it together when the mega rich get richer and the poorest in society get left behind.